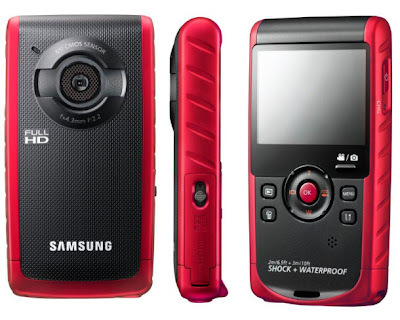 Samsung has introduced its new compact waterproof camera named HMX-W200. This camera comes with 5 mega pixel BSI CMOS Image sensor.It waterproof till 3 meters depth ,shock proof to 2 meters and also dust proof. It has very small 2.3 inch back side illuminated LCD screen. 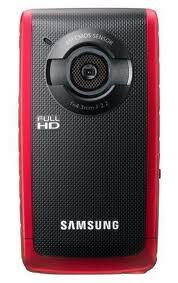 It has capability to record 1080p Full HD. Look wise it resembles like a mobile.Apart from camera and video capturing features, this camera has a solid sharing and editing software. It also comes with a pause button which allows you to capture video by pausing and recording.